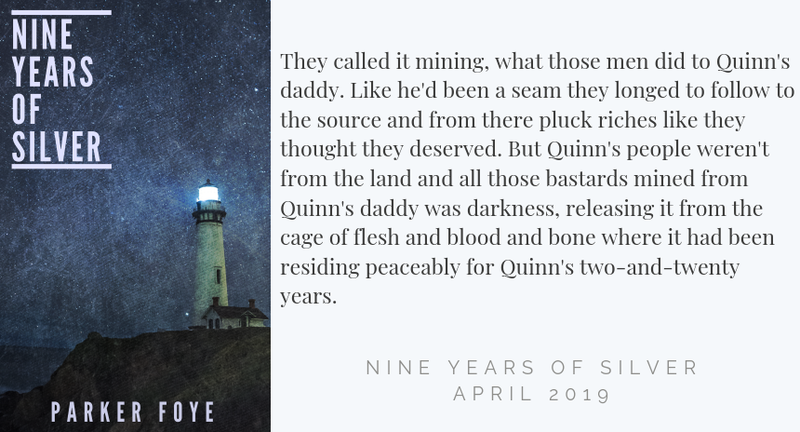 NINE YEARS OF SILVER is available to preorder, and will be released April 16! They called it mining, what those men did to Quinn’s daddy. Like he’d been a seam they longed to follow to the source and from there pluck riches like they thought they deserved. But Quinn’s people weren’t from the land and all those bastards mined from Quinn’s daddy was darkness, releasing it from the cage of flesh and blood and bone where it had been residing peaceably for Quinn’s two-and-twenty years.